First, there is the humongous wingspan. A pigeon, at most, has a 72 cm wingspan. The albatross is totally out of the pigeon’s league, with a wingspan of 3.5 meters- 350 cm. That’s larger than the length of a small car! Of course, this means that the wings catch more air, letting the albatross fly more efficiently, faster and further. That said, the albatross, if not for its special adaptation, would eventually tire. However, with the “shoulder-lock mechanism,” this is not a problem. Basically, this mechanism locks it’s wings in place allowing the albatross to glide and fly without using much energy. If they didn’t have this to help them they would slow down, stop flying and tumble straight into the ocean. It’s not really a second nose, but this adaptation acts like one- two tubes inside the beak. With it, the albatross can smell prey miles away. This tube also delivers excess salt. Having too much will result in death. This may not seem like much, but this beak is specially designed to catch slippery fish and squid, the main source of food, much like our teeth our evolved to deal with various kinds of things we eat. Without it, it would be like without a mouth -albatrosses would die. 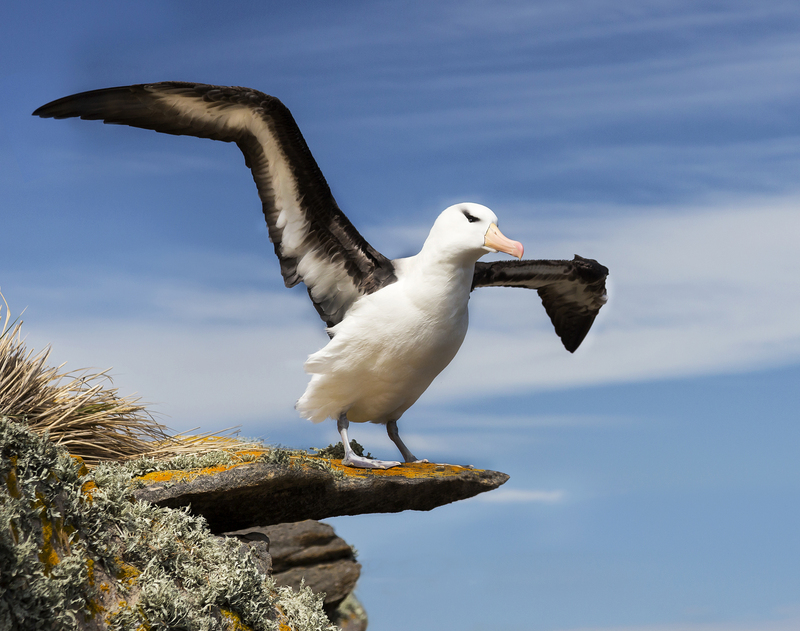 With huge wings and a way to keep them up all-day long, the Albatross is the best pilot in the natural world covering huge distances at awesome speed!